Retirements and Other Changes: 27-year employee Sandy Moreland has retired. Our administrative assistant and front desk staffer, Sandy was greeter to new residents and communications hub for all of Muirfield’s operations. We wish her the best.. We have many other long-term employees who have worked very hard to serve our Muirfield family. In other changes, last meeting Tom Oleksa, who had chaired Grounds and Facilities, was appointed to the Board following the “retirement” of former Board President Mike Grodhaus, and G & F Member and former President of the Muirfield Garden Club Pamela Ellinger stepped up to lead the G & F Committee. The Board formed a new Finance Committee, appointing Board Member Marilee Chinnici-Zuercher to Chair that Committee and also serve at Board Treasurer. Her years of experience as CEO of non-profit organizations make her a genuine “treasure” for Muirfield as Treasurer. Ray DiRossi was appointed Chair of the new Social Activities Committee, following years of leadership with the Muirfield Village Civic Association. Approvals of plans by the Muirfield Design Control Committee: Staff reported that over 95% of plans submitted to the Design Control Committee since January 1 were approved. The Board encourages homeowners to update landscaping and homes by providing free consultation by an architect and landscape architect to every resident, and our GM Walter Zeier frequently is asked to look over a property before a request is even submitted to guide the design process. We are proud of Muirfield, and want to partner with our residents in keeping Muirfield Village updated and competitive. Stansbury/Buckner Farm: The former Buckner Farm in the middle of Muirfield [off of Springburn Drive N.] now known as the Stansbury subdivision of 18 homes has had 5 homes approved by the Muirfield Design Control Committee. These are in various stages of construction. Prices start at $700,000. Respectfulness at the pools: Lately we have had to send home several pool users, repeatedly, for inappropriate language and sexual references at the pool. The Board and staff will take a harder line in prohibiting and reacting to egregious behavior, including verbal. That includes reporting incidents to law enforcement. Bike path. Our Board agreed to allow entry onto Muirfield Association property for construction of the long awaited path up Concord toward Pinney Elementary. A few more things have to happen involving other governmental agencies. Request for your help: The one area we get the most complaints about is dog poop on or alongside the walking paths. I know it just seems unbelievable that anyone would ignore the normal good citizenship, the responsibility and neighborliness, of picking up after a pet. Please help to make Muirfield the people-friendly place we all want it to be by being pet-responsible. It is against the law, and common politeness, to let your pet “foul the footways” as they say in the UK. If you see someone not complying, please ask them to take care of this. And keep in mind that some poop is created by foxes, groundhogs, coyotes and other critters, not just errant dog owners. NextDoor. This social media site has had some residents posting complaints about the Muirfield HOA, the City and each of the two golf clubs. There has been much misinformation there about who is responsible for what, and also unawareness of things that are already in process to correct issues. Give our office a call or send an e-mail and we will try to point you in the right direction. It is very confusing – the Country Club owns two of the lakes that are among houses, south of Memorial, for example, and the Golf Club owns parking lots and wooded areas near the Holbrook Pool and Crossgate. The City of Dublin owns nearly all the cul de sac islands and maintains them. All parties are in communication about maintenance issues, but keep in mind the HOA has no leverage, no control, over the other bodies. If you are unsure if some grounds are the responsibility of the City, one of the golf clubs, Muirfield Square or us, fill out that contact form referenced below and ask us. Thanks for being our neighbors. If you have suggestions, click here and send them in. We welcome your input. Our staff will do our best to keep improving those parts of Muirfield for which the Association has responsibility. Don't let summer slip away... the final Junior tennis session is coming up! Sign ups are being taken now for the final session of Junior tennis programs, which will begin July 31. There's Junior programs for all ages - Tiny Tots, Big Shots, Future Stars and Junior Excellence. Sign up online or in person at the courts. Adult tennis programs are going strong and will continue through mid-August. Join us for competitive play, tennis clinics or cardio tennis! See what is coming up on the tennis calendar, then join us at the courts. Hope to see you there! Who Should Attend? Everyone who wants to enjoy our Great Community! Bring the kids and grand kids. Kids, bring your parents! The 2017 Muirfield Fishing Derby is going to be a great time to meet your neighbors and enjoy the early evening at the Holbrook Recreation Complex. Bring your Picnic basket, fishing pole and lawn chairs. 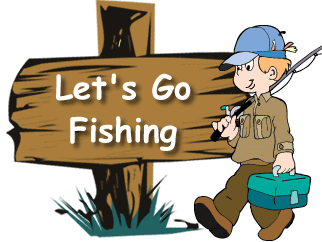 Watch the fishing fun and have an ice cream treat and great food from the Sock Hop Soda Shop food truck. Everyone should click below to register for the fun! The first 125 who register in advance will receive a free ice cream treat from the Sock Hop Soda Shop food truck. Oh - and best of all, the fishing derby is FREE! Registration for the final session of swim lessons opens on Friday, July 21 at 4:00 p.m. Session 3 lessons will be held at the Holbrook pool weekdays, Monday, July 31 through Friday, August 11 at 11:00 a.m. Please review the General Swim Lesson Information page for swim program information and policies before registering. Class descriptions can be found here. Each learn-to-swim class lasts 45 minutes, 5 days a week, Monday through Friday, for 2 weeks. Each two-week session costs $60 per person. View all sign up dates, class times, and swim lesson information on the 2017 Pool Activities Sheet. Once registration opens, go to the registration page in the Members Area of our website and follow the link to the sign up form. Once registration opens, if you see a "Please wait until session opens" message instead of the registration form, refresh your browser and/or clear your browser cache. We've simplified the registration process - just fill in one form and then pay the invoice we send you! Completed registration requests are sent to the Association office. There is no automated confirmation email, so please be patient while staff reviews signups on Monday.